Travel cot for the baby. Large terrace with breathtaking views. Carrio Rural House has been restored recently and it is estructured in different floors. 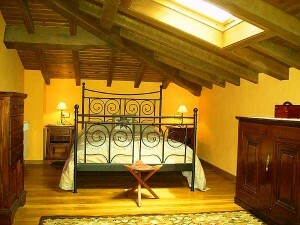 The wooden slanted ceilings were also kept with windows in them, giving the top floor rooms a special rural charm. 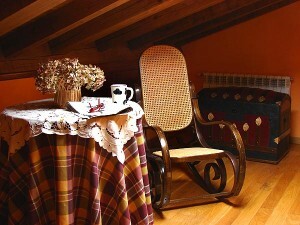 The stone and wood structure, typical in Asturias, along with delicate decoration makes this place a very special lodging for our holidays. The Tourism Direction has given this rural house a two “trisqueles” category.